Welcome to Selling Indy Metro, LLC! Find your Indianapolis dream home here. Our goal is to maintain the highest degree of integrity, honesty and trust! Whether buying a home or listing one to sell, you can count on us to work hard for you. We welcome you to use the above search for current Indianapolis area real estate including Avon, Brownsburg, Carmel, Danville, Fishers, Greenwood, Plainfield, Zionsville and other areas in the BLC. Avon, Brownsburg, Camby, Carmel, Danville, Fishers, Greenwood, Mooresville, Monrovia, Noblesville, Pittsboro, Plainfield, North Salem and many other communities surrounding Indianapolis. MLS Listing #s and more! Are you looking to list your current home? We can help! While it is an exciting time to list your home in the greater Indianapolis area, the process can be intimidating or confusing. Let us show you what we can do to assist you in getting your home sold as quickly as possible while bringing you the highest price! Make an appointment today to let us show you what we can do! Below is a informational video on the exceptional marketing we do to get you to the closing table. 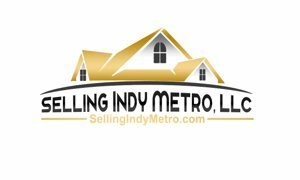 Read the Selling Indy Metro Blog for tips, tricks and extra insights to help you better understand the world of buying and selling real estate in the Indianapolis Metropolitan Region. Topics range from local areas and amenities, to what you can do to be prepared for Buying or Selling a home. THIS JUST IN! Some of the latest listings in the Indianapolis Area's Best Real Estate Search Site are listed below, will one of these be your new home?